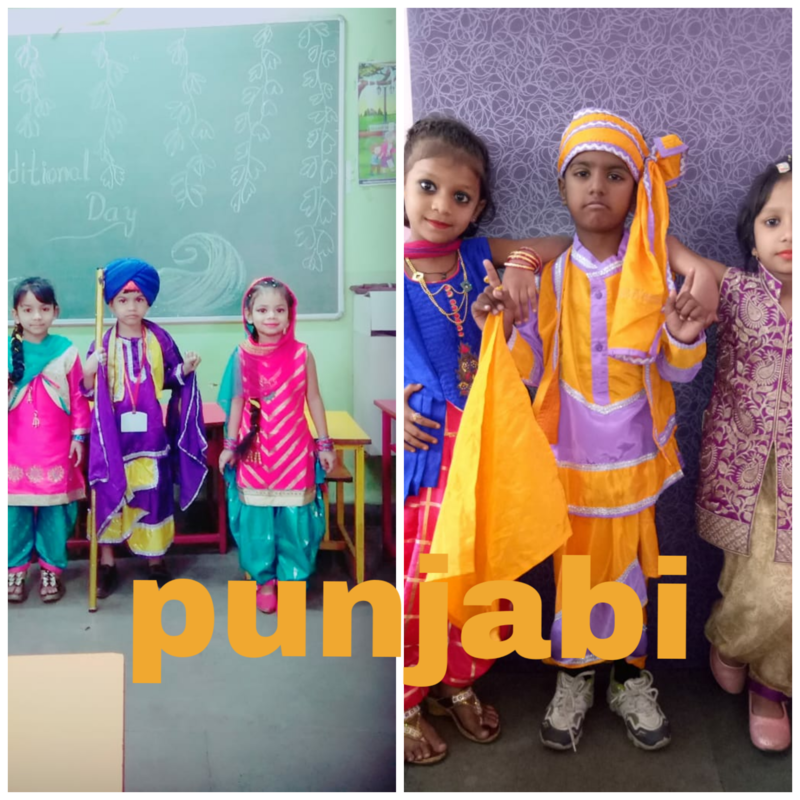 Traditional Day was celebrated with great enjoyment and enthusiasm in our school on 24 January 2019. 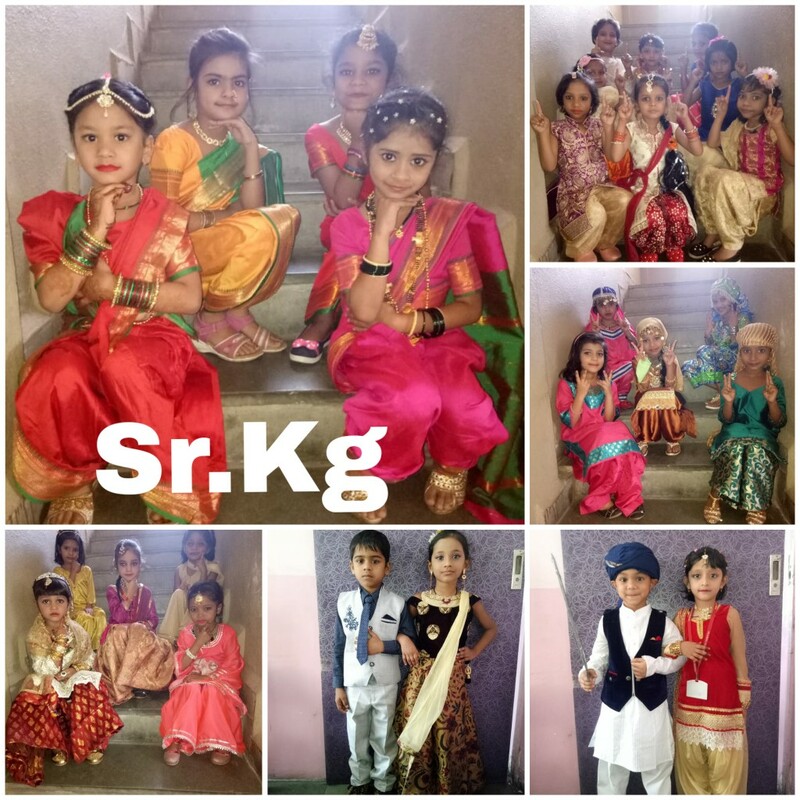 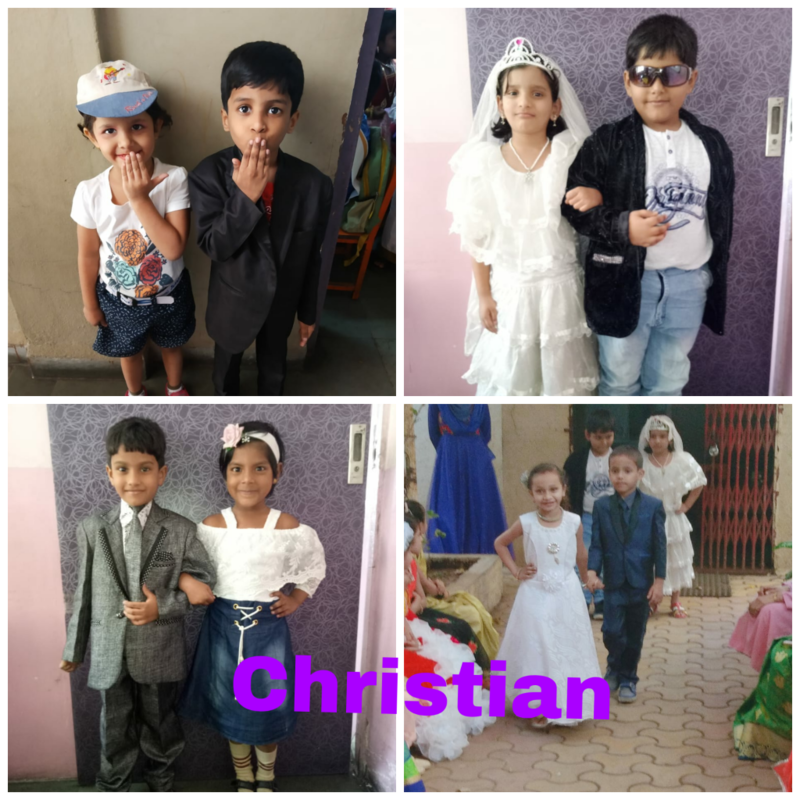 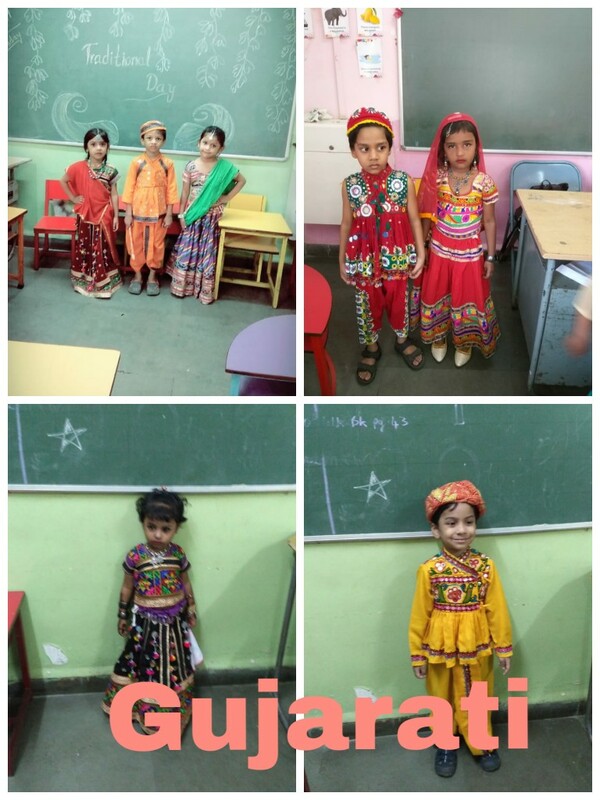 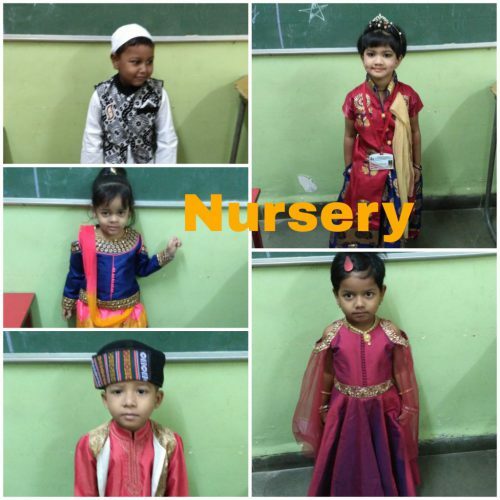 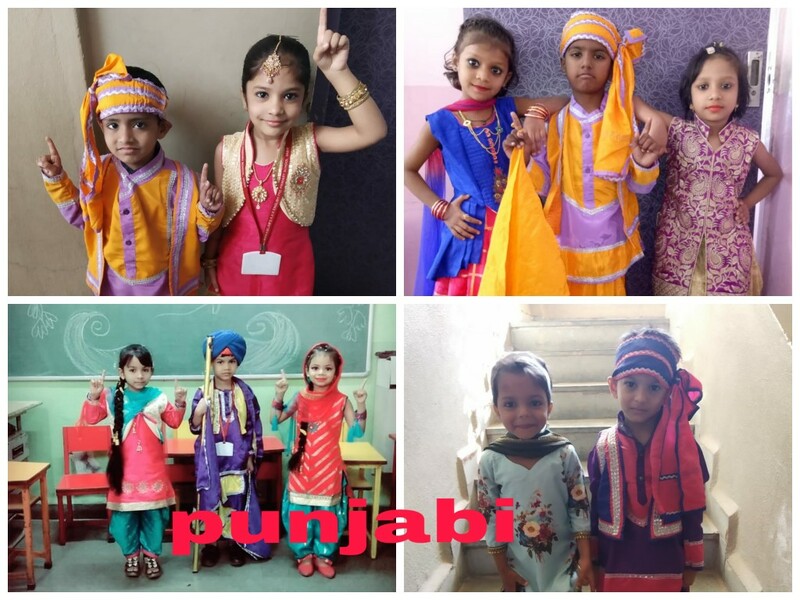 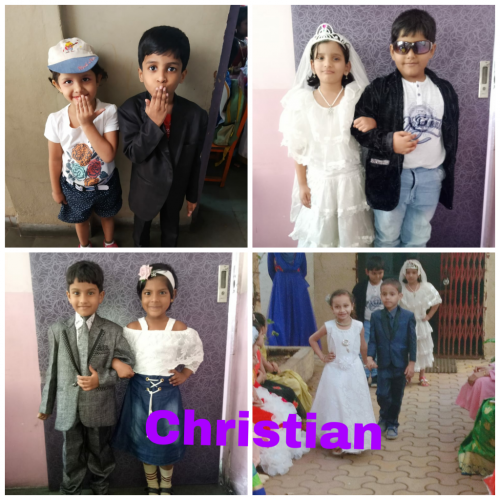 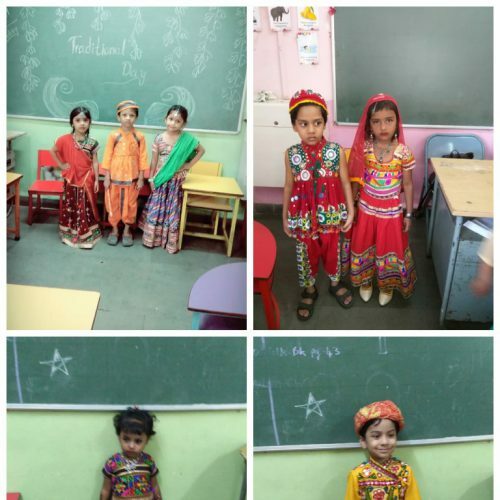 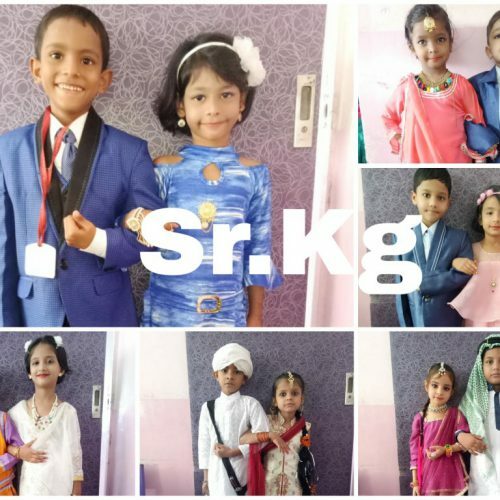 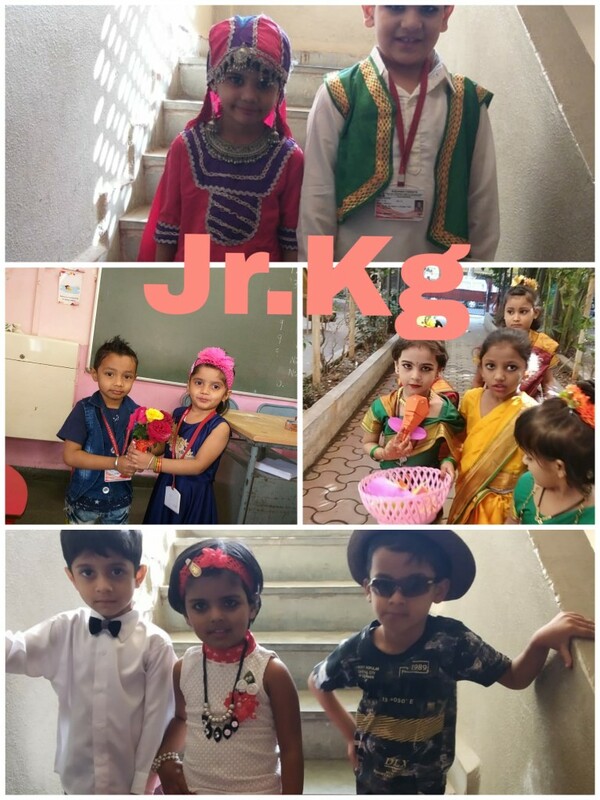 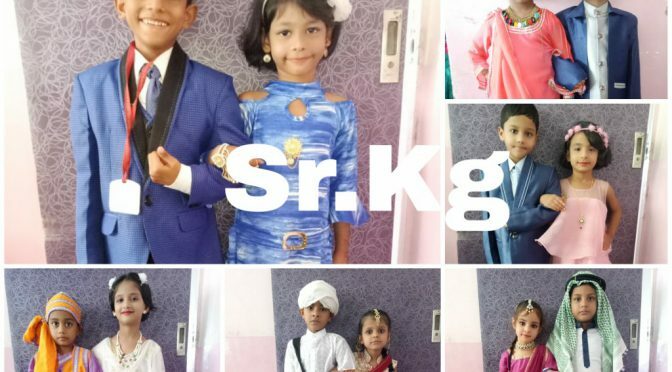 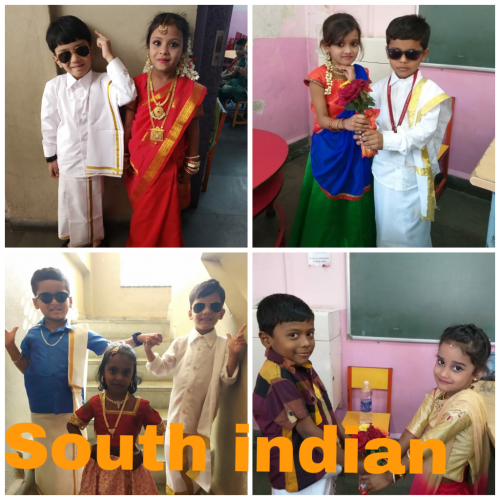 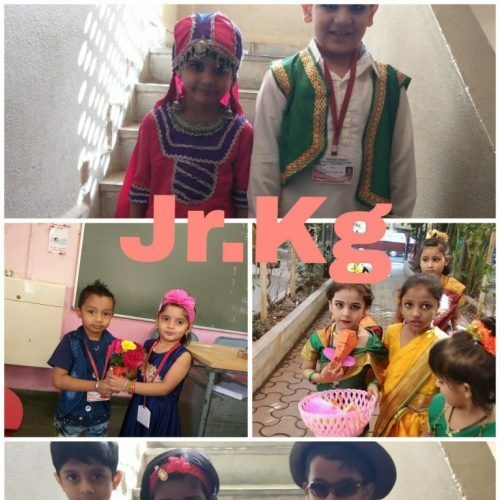 Children from Nursery to Sr.kg were dressed up in colourful tradition of various states. We arranged our cute blossoms as the outline of our country “INDIA” to feel proud for our nation, in order to prove that we are “UNITY IN DIVERSITY” and to show great respect towards our nation. 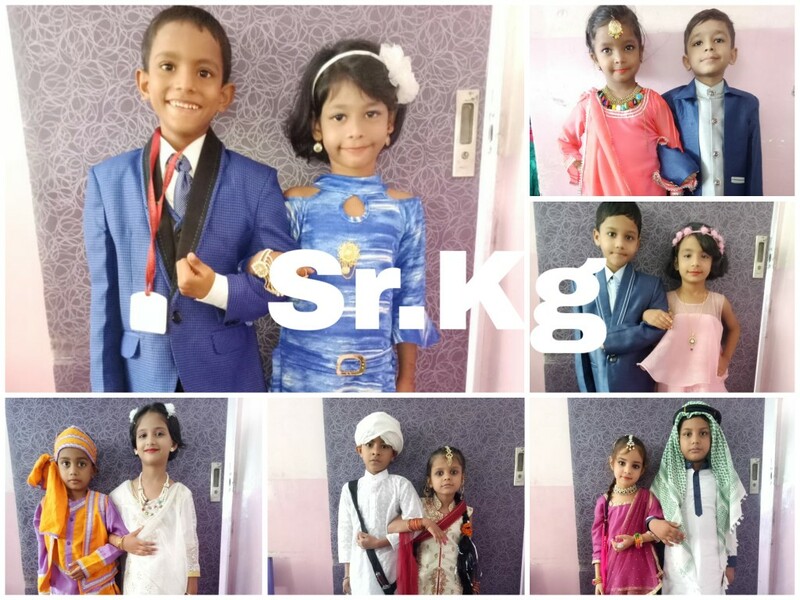 It is a great moment for us with joy and pride with great efforts by our children. 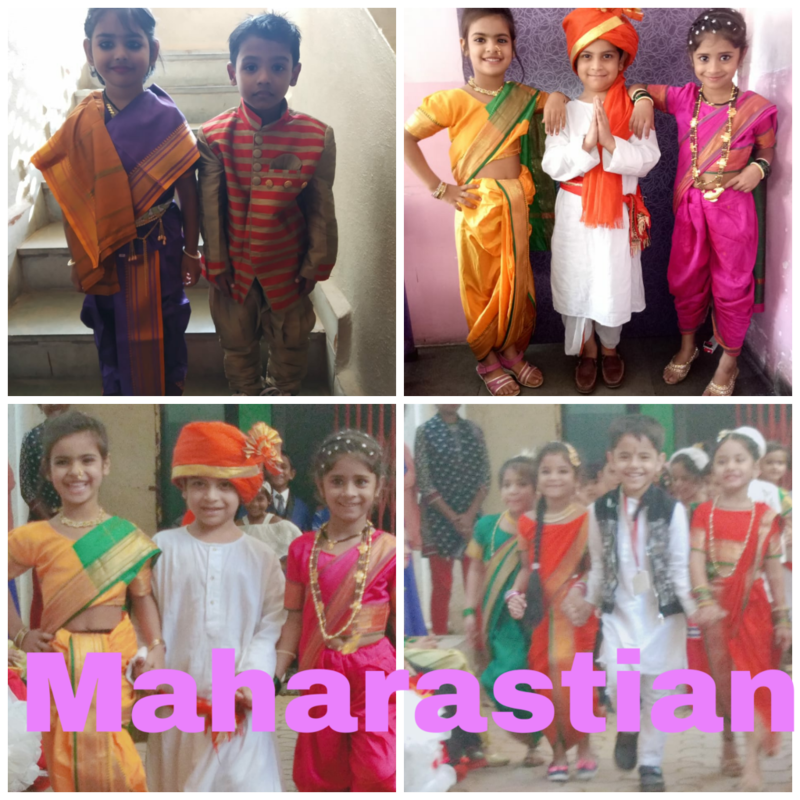 Children with traditional attire such as colourful attractive dresses, ethnic jewellery and presentation to show that we all stand together to celebrate the spirit of our Indian tradition .All the students gathered on the ground and did ramp walk with their partners with their same consumes to show their love and respect for their country and to promote ‘UNITY IN DIVERSITY’. 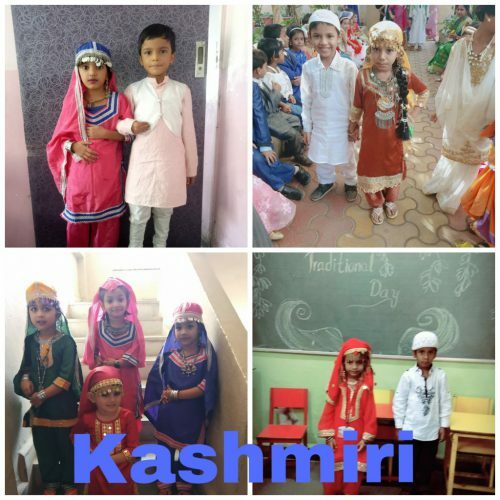 Indeed, it was a day of joy for all, a day to show our love for the nation. 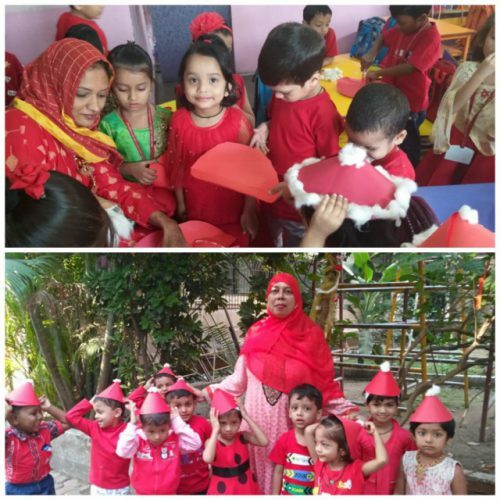 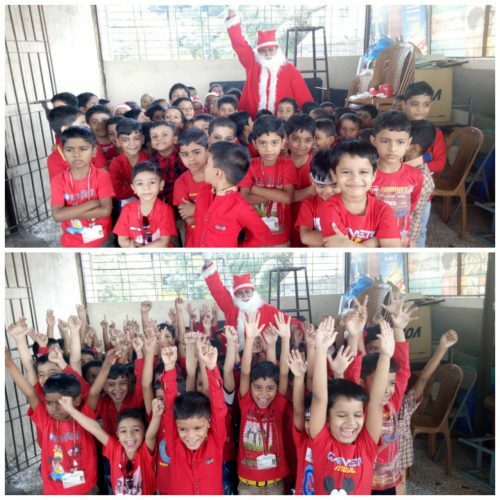 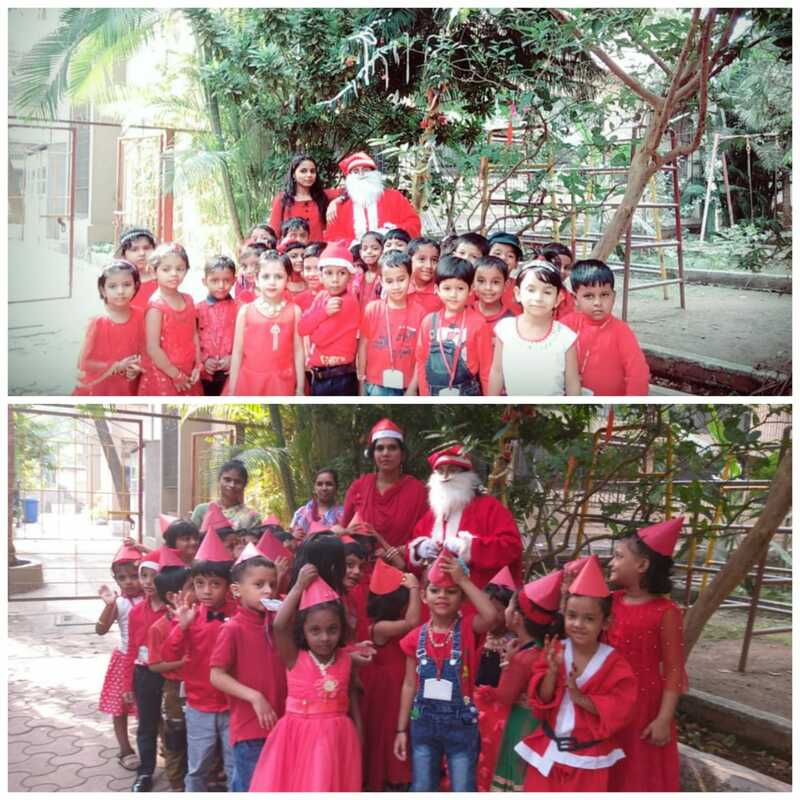 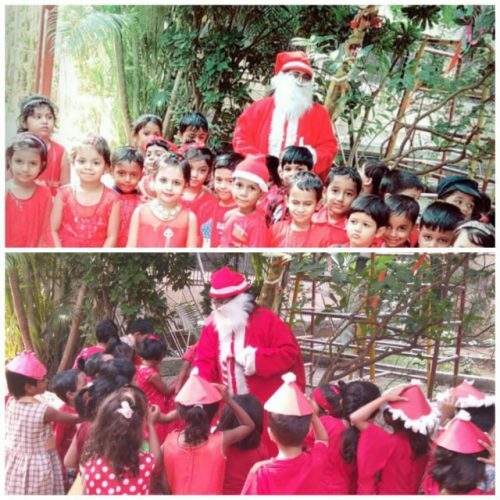 Pre-primary school of Anjuman .A.A.K Vashi celebrated RED DAY along with Christmas party on 24 December 19. Children were attractively dresses in different shades of red. 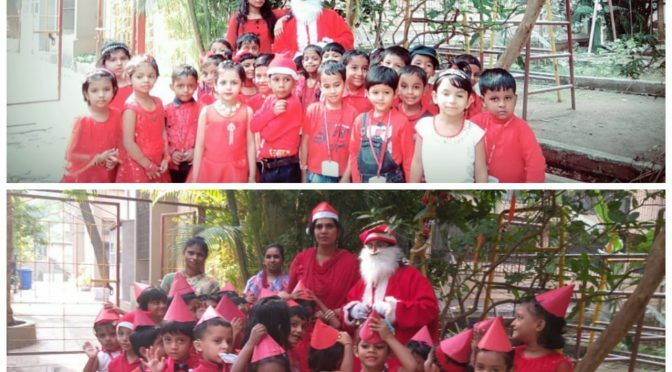 Red is the warmest and brightest colour. It symbolizes love, life, power and courage. 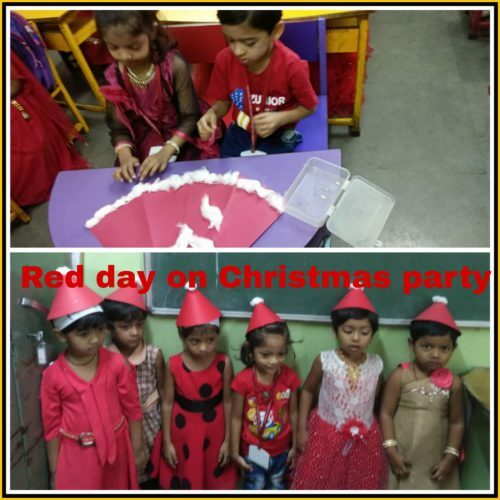 The children enjoyed the day by doing fun activities related to red colour. The teacher also showed the importance of red colour by showing seasonal fruits vegetable which are good source of nutrition ,flower and object of that particular colour. This activity helped the students to recognize and learn the names of fruit with their colour It was complete fun day for the tiny tots of the preprimary as we celebrated Christmas party on this same day they all dance on jingle song by wearing Santa’s cap which was made by them in a activity . 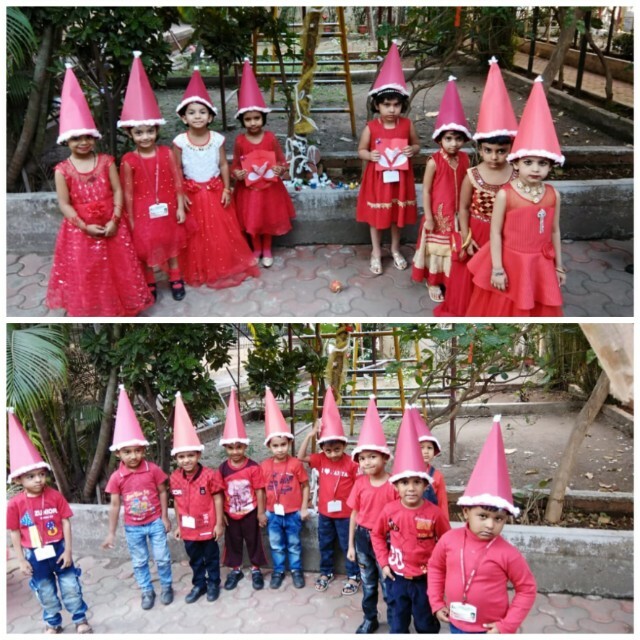 Children were looking very energetic in vibrant red colours outfit. 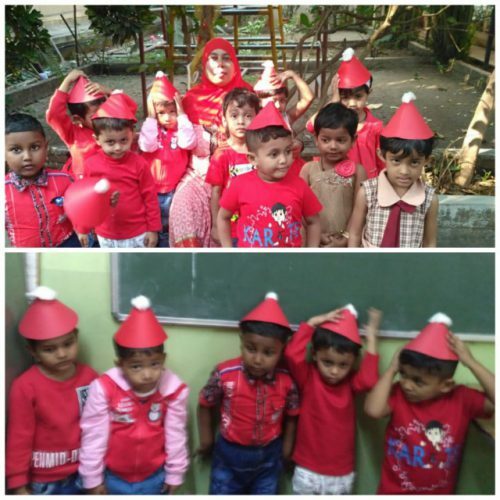 Teacher from our section decorated the classes with red accessories and with red balloon. 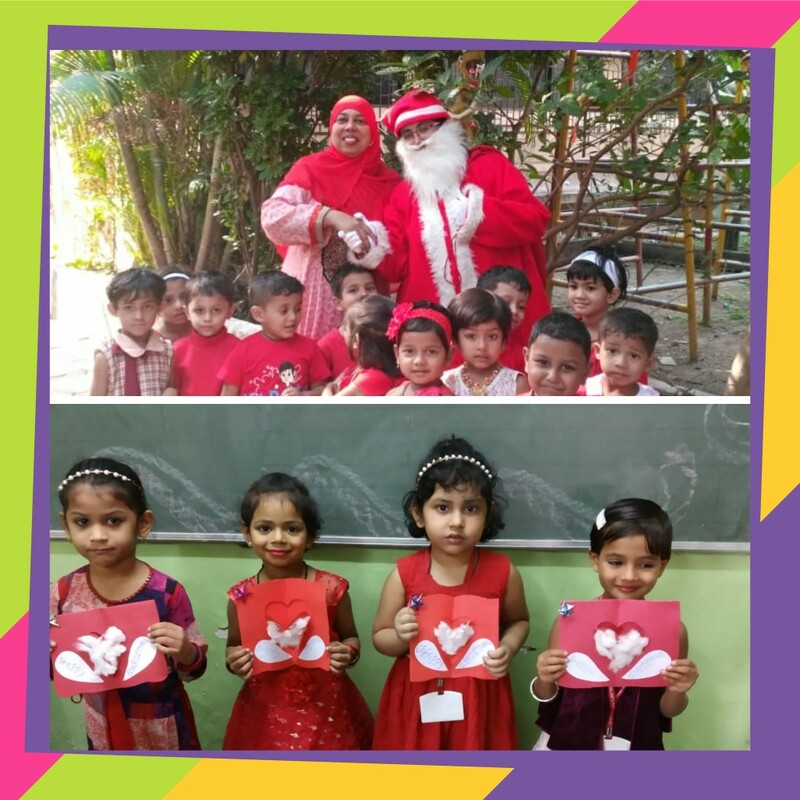 All of us enjoyed this celebration along with kids as the Christmas celebration bash and had a great day. 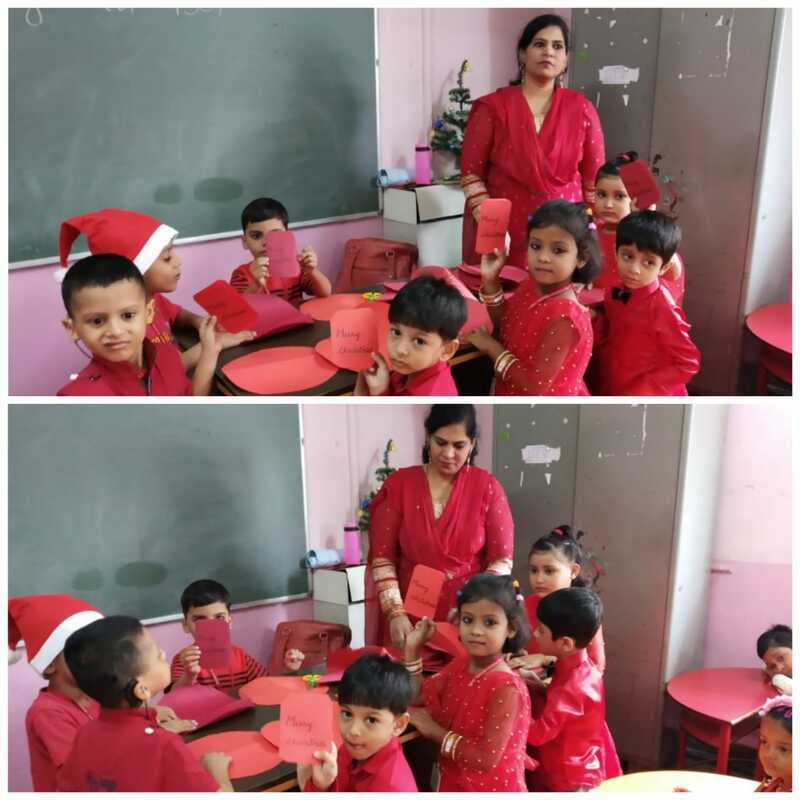 All teachers enjoyed this activity and it was a great success.